It came from Wakanda! From the Marvel Studios' Black Panther movie comes these Marvel Minimates mini-figures. 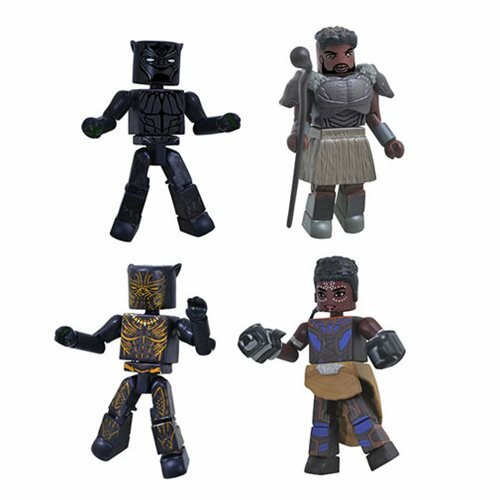 The Marvel Black Panther Movie Minimates Box Set features Black Panther, M'Baku, Killmonger and Shuri. This 4-pack set of 2-inch tall Minimates mini-figures features 14 points of articulation on each figure, as well as fully interchangeable parts. Comes packaged in a full-color window box. Ages 8 and up.